Suspended Flights at Gatwick Airport? Now Passengers can use AirClaims and Get up to £500 Payment if the Airline is found to be at fault. Suspended, Re-routed, Cancelled or Denied Boarding? Gatwick Airport (LGW) is an international airport located in Crawley, south of Central London. The airport is also known as London Gatwick. The history dates back to the late 1920s when it was first developed as an aerodrome. Government approved commercial flights began in 1933 and the first terminal known as The Beehive was built in 1935. Between 1955 and 1988, the airport saw large scale upgrades with designs from Yorke Rosenberg Mardall. The airport was bought in 2009 by Gatwick Airport Limited, a wholly owned subsidiary of Ivy Holdco Limited. Why are flights deferred at Gatwick airport? According to figures published by the Civil Aviation Authority (CAA) in 2015, Gatwick Airport is the worst culprit in terms of flight protractions. Only 67% of flights that take off from the airport are punctual. This is a 7% reduction from figures for 2014. Whilst this should worry any passenger, it is important to note that most of the deferments are small scale. However, as the busiest single runway airport in the UK, even the smallest disruptions in process could lead to a 30-minute delay for passengers. Q: What are the main causes of flight delays at Gatwick? A: Accidents: The latest example of this occurred in February 2016, where dozens of flights were postponed for an hour following an oil spill on the runway. Passenger behaviour: In March 2016, a flight was put off for a couple of hours after passengers deemed to behaving in an unruly manner were thrown off the plane. The passengers were drunk holidaymakers. The pilot refused to fly the plane unless all 25 of them, including a teenager, were taken off the plane. Apart from the above causes of flight suspensions, other more common causes include air traffic control disruptions and weather disruptions. 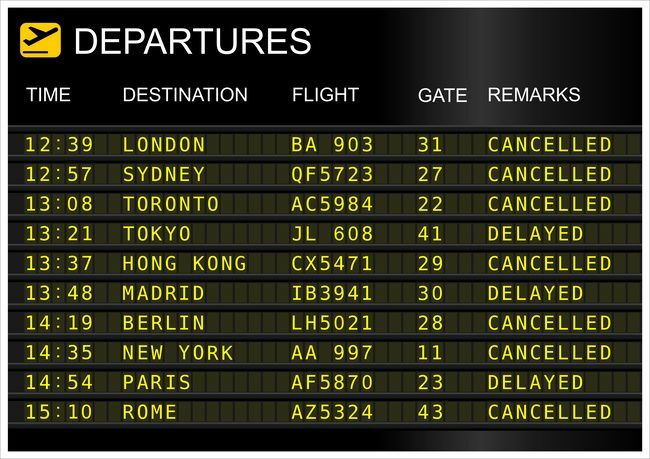 Q: How do I get compensation for my postponed flight? A: Since Gatwick Airport is known for frequent disruptions, it is easy for airlines to pin blame for delays on the airport management. This makes it difficult for passengers to get compensation where they are supposed to. Here at www.airclaims.co.uk, we have the expertise required to scrutinise every single excuse from airline operators. We can investigate every single case of prolongations that hit the 3 hour limit imposed by the EU to make sure the airline is not in the wrong. If we can prove that they are responsible for the obstruction, you could be looking at up to £510 in compensation for a single ticket! To file for compensation for a set back Gatwick flight (even if it’s up to 6 years ago), simply provide us with your flight details. We have helped thousands of passengers get compensation from most of the airlines that ply the London Gatwick route by representing them every step of the way in court. You can count on us to explore every possible angle to get you compensation if we believe you are due some. Our ability and experience means we have a near perfect success rate for all cases we take on, even against the biggest airlines in Europe! Give us your flight details today and watch us do all the work for you!